[learn_more caption=”Click here to learn more”]If you have big goals and dreams you want to accomplish in 2018, this article is for you! 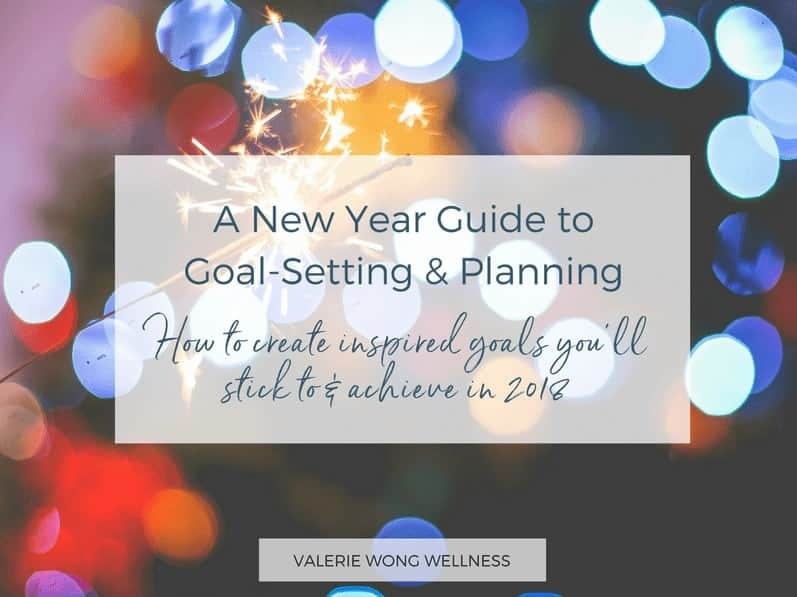 I’ve detailed the process I use for setting inspired goals for the new year, plus I show you how to create a plan to stick to and achieve your goals (because without a plan, goals are just dreams). 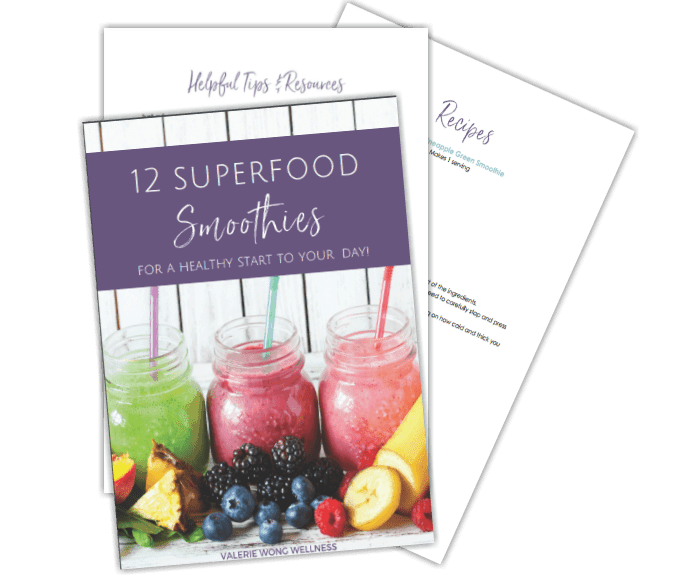 I’ve also included a printable guide to walk you step-by-step through the process, and I’ve listed some of my favorite resources for new year planning. I hope it helps you make 2018 everything you want it to be! I love this time of year! Not only is there Christmas (my favorite holiday! ), but I also just love the feeling of hope and possibility that comes with a new year. Being a planner and dreamer by nature, I get excited every year to dream about my vision for the new year and what’s in store for me, and then go about creating a plan to make it happen. I’m not really into making resolutions, though. I know it’s more semantics than anything else, but “resolutions” to me just sounds very restrictive and boring and basically no fun. What I like to do is create a vision for my year and decide what I hope to have, do, and be by the end of the year. Then I set goals to help me work toward making my vision a reality. I also look at areas of my wellbeing that I want to focus on, and identify ways that I want to improve myself. My new year planning will forever be a work in progress, but that’s part of the fun I think. Each year I refine it and make it a little better. Back in the good old days, I would do my yearly planning with my best friend. We’d get together for a day-long “enrichment session” (complete with comfy yoga pants, a cozy fire, and apple cider) and do all of our planning and scheming for the year. It was so fun and inspiring. We’re in different states now and I miss planning my year with her so much. I’ll never forget the year I told her, “Sarah, I’ve decided that this year I basically just need to change EVERYTHING about my life. Ha! Needless to say, it had been a rough year. That’s been so many years ago but we still laugh about that. That’s a rather extreme example of one of the goal-setting mistakes I’ve made over and over in years past — setting too many goals for one year. Honestly, I still struggle with this one. I just want to do SO MUCH! If you’ve set goals for the year before and had trouble achieving them, then you might have made this mistake, too. It’s an easy one to make when you’re ambitious and optimistic! On that note, below are some other mistakes I’ve made in the past in planning my year and setting my goals (maybe some of them will sound familiar?) — let’s try to avoid these this year! So, let’s talk about how to design goals that you can stick to and achieve in 2018! Yearly Wall Calendar I love this calendar because you can see your entire year in one place. It’s especially helpful for planning travel and for entrepreneurs. I’m sure you’ve heard of SMART goals (specific, measurable, achievable, realistic, and time-bound). It’s a good framework to follow for sure, but I think it’s missing one really important piece . . . INSPIRATION! I believe the secret to sticking to and achieving your goals is to create inspired goals. An inspired goal is one that makes you feel excited and hopeful when you think of it. It’s framed in positivity instead of negativity. It is charged with positive emotion. And most important, it’s connected to your greater purpose and vision for your life. Let’s use the most common New Year resolution/goal — losing weight — as an example. Here’s a SMART weight-loss goal . . .
By December 31, 2018, I will lose 20 pounds to reach my goal weight of 150 pounds. How do you feel when you read this goal? Here’s what I feel when I read it . . . um, mostly dread. I don’t know about you, but it doesn’t leave me feeling very positive or inspired. Where’s the motivation or the reason WHY you’re working toward this goal? How will your life be better once you’ve achieved this goal? Compare that to this inspired weight-loss goal . . .
Before December 31, 2018, I will reach my body’s ideal healthy weight of 150 pounds, so that I can have more energy each day to devote to my dream of starting my own business and spend more quality time with the important people in my life. How do you feel when you read this goal? This one makes me feel excited, hopeful, and motivated. Now, this is a goal that inspires me! Doesn’t it just feel so much better than the first one? Imagine if you repeated this goal to yourself every day, kept it top of mind, and revisited it any time you were struggling with your weight loss efforts. Something as simple as how you word your goal really can have a huge impact on your ability to successfully achieve it (and enjoy the process more along the way). Hopefully, you’re feeling inspired now to make your inspired goals and a plan for achieving them! Note: I love using a pretty blank journal for this part of my goal-setting and planning. Erin Condren journals are my favorite! The first step is doing a review of 2017 (or the year that’s just ended/ending if you’re reading this in the future). I’ll be honest, this step can feel a little tedious at first. And, depending on what kind of year you had and what happened, it can be tough and sometimes downright painful. But I really encourage you not to skip this step. Even when I’ve had really tough years that I kind of dreaded looking back on (like the year I wanted to change everything about my life, lol), I was always pleasantly surprised with some of the positive things that happened that had been overshadowed by the unhappy things. So please don’t skip this step! What are the good things that happened? What are the things you hoped would happen but didn’t? What were your disappointments or setbacks? What new people came into your life? Which goals did you not accomplish? Why do you think you weren’t able to accomplish them? Are they still important to you? It can be hard to remember everything that happened in a year, especially earlier in the year. If you’re having trouble remembering everything, sometimes it helps if you start with January and go month-by-month. Something I do to help jog my memory is look back at my planner/calendar, journal, and even my emails and text messages with the people I’m close to, since I tend to share all my highs and lows with them. Once you’ve reviewed 2017, it’s time to start planning for 2018 — this is where it really gets fun! Don’t feel bad about not acting on all of them . . . you can revisit them and work on the others next year! And it’s also perfectly okay to have less than three areas. Honestly, that could be even better because you’ll be able to focus more of your time, energy, and resources toward that one area. But if you feel like there’s just no way you could narrow it down to just one goal (me too), then let’s keep it at three to five MAX. Your next step is to create an inspired goal for each of these areas of your vision. We’ll look at just one as an example. Let’s go with the last one — having a financial cushion of $20K in liquid assets. Your inspired goal might be . . . By December 31, 2018, I will increase my liquid assets to $20K so that I can have financial peace of mind and feel comfortable leaving my job to go full-time with my business. By ____ (date), I will ________ (goal) so that I ________ (your why/inspiration). I will know I have achieved this when ______ (measurable desired outcome). Next, for each of your inspired goals, make a list of the things that are currently holding you back or standing in the way of you having this. For example, things that could be standing in the way of having $20K in liquid assets might include one or more of these . 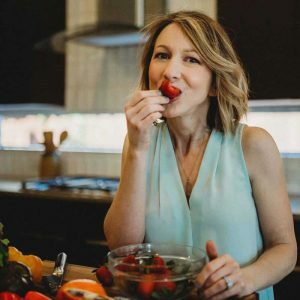 . .
Making a list like this might feel like a bit of a downer, but it will really help you get clear on what’s holding you back and what you need to do to achieve your goal. Now that you’ve created your inspired goals and you know what’s standing in your way, you can create an action plan that will help you achieve your goals. Note: For this part, I like to use my Self Journal & Planner. It’s designed for setting quarterly goals and creating a plan to achieve them. Creating your plan is the step that’s gonna set you apart from all the people who make new year goals and resolutions and never achieve them. I used to create elaborate year-long plans for each of my goals, but I’ve found it’s really hard to plan that far out and inevitably the plan would slowly fall apart . . . along with my progress toward achieving my goal. So a couple of years ago I tried something new . . . creating quarterly plans instead of yearly plans. Using quarterly plans will help you break down your big goal into 4 smaller goals and/or outcomes that let you know you’re making progress along the way. And that’s your next step — for each inspired goal, create 4 incremental goals that will ultimately lead to achieving your inspired goal. These incremental goals will guide your actions for each quarter. These are benchmarks you can use to help you stay on track throughout the year. I like to think of my planning in terms of GOALS >> PROJECTS >> TASKS. Your inspired goals are your vision for the year. Your projects are the strategies you’ll use to achieve them. The tasks are the steps you’ll take to complete the projects. Note: Some of your goals might be shorter term and achievable in three months. Some you might need the whole year to achieve. Others might be long-term and not something you’ll be able to completely achieve this year but you’re working on making set progress toward it by the end of the year. So just keep this in mind as you do your planning. For each individual inspired goal, you’re going to create a project that will help you overcome the things you’ve identified that are holding you back so that you can reach your goal. Make it something that can be completed in three months or less. (If the best first move is something that will take longer than 3 months, then you need to break this project down into smaller projects). Think back to the Q1 goal/outcome you identified for the $20K in liquid assets goal — create a budget, savings plan, and start earning extra income. Start by looking back at the list of things that might be holding you back. Which of these do you need to work on this first quarter? Decide on and secure an additional income stream. Complete this step of creating a project for each of your inspired goals. Next, identify all the tasks you’ll need to do to complete the project. Really go into detail on this one and write down every little step, no matter how small or insignificant it might seem. You can see some of these steps are really small and would only take like one minute (like it only takes 30 seconds to download an app), but it’s still important to list them for a couple of reasons. First, these little steps can add up in terms of time, and it’s easy to forget when planning a project the little details that need to be taken care of before you can get the project started. Second, you’re going to take these steps and plug them into your calendar or planner so that you have a workable plan that you can be implementing and making progress on every day. When you have one of those super crazy days where you can’t commit much time to your projects, this is a day when you could plug in one of these tiny, one-minute tasks so that you’re actively working toward your goals each day. On that note, this is one of the secrets to achieving your goals — focusing and taking action on your goals every.single.day. Doing this keeps you focused, motivated, and helps you gain traction and momentum. Otherwise, it’s so easy to get overwhelmed by work and other things going on in your life, and before you know it, it’s July and you’ve made zero progress toward your goal. (and yeah, that’s personal experience talking). Repeat this step of listing out all the tasks for all the projects you’ve made for each goal. At this point, take a minute to look at these lists and see if you feel like it’s doable in three months. Think about any big projects or other obstacles that may make it challenging to complete your projects. If you need to, adjust the projects or time frames you’ve assigned them. Breaking the projects into smaller projects can help. Now it’s time to be the go-getter that you are and put these steps into action! Your final step (we’re almost done — yay!) is to plug all the steps for each project into your calendar so that you have a clear plan for getting them done. Start by dividing the tasks by month — list which tasks you’ll complete in January, February, and March. You can do this by writing them in a calendar, using something like Outlook, or use a project management app (I love Trello). You might also be like me and use a hybrid system with both a paper planner and an app. Once you’ve laid out your action steps for each month, you’ll plan them out by the week, and then by the day. I don’t recommend going too far out on this task. Make sure you have a plan for which steps you want to accomplish for each of the three months in the quarter, and then I would recommend planning the steps out week-by-week just for January. At the end of January, you can assess your progress and then plan out the month for February. Ditto for March. So for January, look at the list of tasks you’ve assigned to this month. Then assign them to a week. For each week of the month, you’ll have one or more tasks assigned to that week. Finally, for the first week of January (or whatever your starting point is), assign each of those tasks to a day of the week. Of course, be realistic (easier said than done when you’re an ambitious dreamer like me) and think about how much time you’ll really have to devote to that task. Don’t overcommit/overschedule yourself — this is a surefire way to get discouraged and frustrated. At the end of the week, review your progress, move any tasks you didn’t complete to the next week, and then follow that same process of assigning the weekly tasks to a day of the week. Rinse and repeat each week, and I promise you are gonna be amazed at how much progress you make toward your goals and how much you’ll accomplish in 2018! Do a review of the past year. Create your VISION for the new year. Create a quarterly project(s) for each of your inspired goals (for Q1 only — you’ll do this at the beginning of each quarter). These projects should be designed to help you reach your quarterly goal/outcome. Divide up the tasks listed for each project by month and assign them to a month using either a paper planner, digital calendar, or project management app. You’ll have a list of tasks to be completed for each month. Do a reality check to make sure it’s doable, and adjust as needed. HOORAY!!! You’ve just set yourself up for MAJOR SUCCESS in 2018! Whew . . . I know that might seem like a lot of work (and it is), but if you’re serious about really meeting your goals this year (and I’m sure you are if you took the time to read this far! ), then you’ll be glad you put in the time and effort to set your inspired goals and design your plan for 2018. I’m so excited about what 2018 has in store — for me and for you! I’d love to hear what your top focus will be for 2018, and any tips or tactics that have helped you in setting and achieving your goals. Let me know by leaving a comment below! Wishing you a Happy, Healthy, and Fun New Year! (PS: My recommended favorite planning tools are: Erin Condren journals (blank journals for writing out your notes, goals, & plans; The Self Planner for setting your quarterly goals and developing a plan to achieve them, and this yearly planner to help you map out your entire year — great if you’re a really visual person like me. Previous Post: « Travel Guide: Exploring Beijing!